Religions, like all great societal institutions, inevitably grow and adapt to fit with current times. And while many archaic practices found in ancient scripture have fallen out of favor on their own, others - especially those that might cause harm to others - have been outlawed altogether. In what is being hailed as a landmark ruling, a High Court in India has added one more to that list, declaring that no animal should have to die in the name of religion. 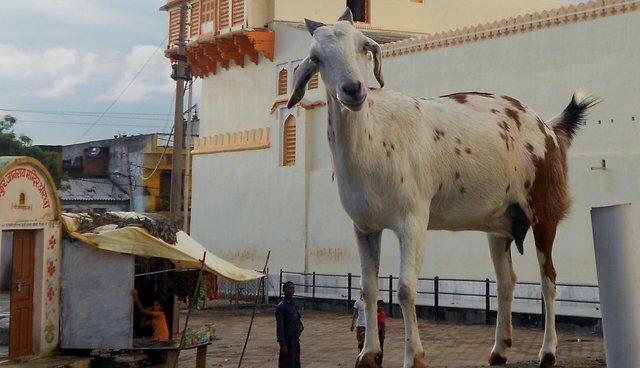 On Monday, judges in the northern Indian state of Himachal Pradesh banned the killing of animals for religious sacrifice, saying practitioners "must change in the modern era." The court arrived at the decision after hearing testimony that thousands of animals were being killed every year in temples and at festivals throughout the region simply out of tradition. "No person shall perform or offer to perform or serve, assist or participate or offer to serve any sacrifice of animal in any place of religious worship, ceremony, yagnas... including all land and buildings near places of religious worship forthwith," said the judges. "Sacrifice causes immense pain and suffering to innocent animals. They cannot be permitted to be sacrificed to appease a god or deity in a barbaric manner." "Compassion is a basic tenet in all religions."